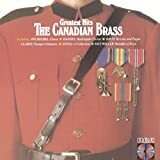 Canadian Brass is a Juno, Grammy and Echo award winning Canadian brass quintet formed in 1970 in Toronto, Ontario by Charles Daellenbach (tuba) and Gene Watts (trombone), using horn player Graeme Page and trumpets Stuart Laughton and Bill Phillips to complete the quintet. 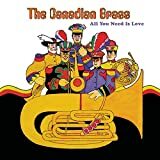 As of 2018, the quintet is composed of trumpeters Caleb Hudson and Chris Coletti, hornist Jeff Nelsen, trombonist Achilles Liarmakopoulos and tubaist Charles Daellenbach. The group (known for their unique performance attire of formal black suits with white running shoes) performs internationally and has recorded more than 130 CDs and DVDs. They have commissioned, performed, and recorded hundreds of transcriptions and original works for brass quintet. 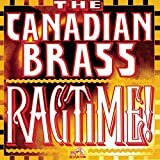 Canadian Brass has a library of more than 600 compositions and arrangements specially and uniquely fashioned for them. In the next 50 years of the group, the intention is concentrating on new compositions for Quintet. The band has been named the "one of the most popular brass ensembles in the world" by The Washington Post. Explaining the incorporation of humor into their stage performances, the group has always maintained that they are simply being themselves on stage, while performing at the highest artistic levels. This ensemble has appeared on all the major North American TV networks, Late Night with Johnny Carson, CBS Sunday Morning and most recently on Hunan TV in China with more than 500,000 viewers. Their awards range from three honorary doctorates to Grammy, Canadian Juno and German Echo recording awards. Most recently, founder Daellenbach was appointed to the Order of Canada, the country's highest civilian honour, in 2014. He accepted this appointment, saying, "not only do I accept this appointment for my family and myself, but on behalf of the incredible colleagues that accompanied me on this unbelievable musical journey ... firstly Watts, Mills, Romm, Page and Ohanian and now the '2nd generation' colleagues of today!" Rondo Alla Turca from Piano Sonata No. 11 in A Major, K.331 "Alla Turca"
Fugue in G Minor, BWV 578 "The Little"